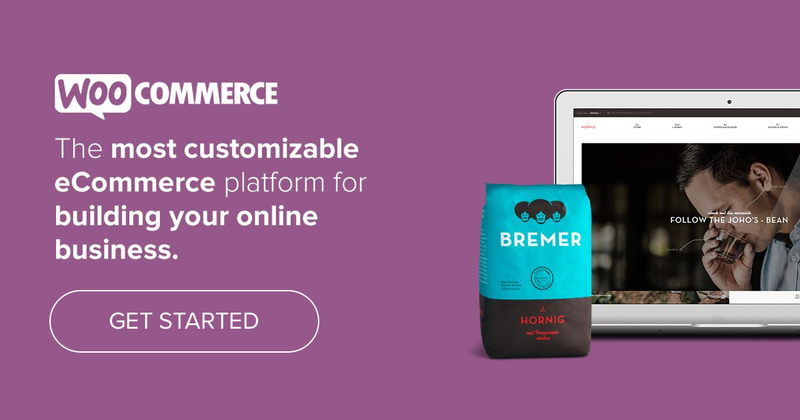 Written by Gary Murray on April 3, 2019 Blog, Product news, WooCommerce. Alongside the new product blocks available in WooCommerce 3.6, we made a series of performance improvements in the front and back end to speed up performance. Read on to see how these changes will improve both the management and shopping experience on WooCommerce stores. We focused efforts on making a range of performance improvements that reduce loading times for the store and individual product pages, which in turn provide a better browsing experience for customers. A new lookup table, similar to a master list, speeds up the ordering and filtering of products by price, popularity, SKU, and rating. This positively impacts all pages that list products in the front end; and the WooCommerce wp-admin dashboard view, product-related reports, and related functionality in the back end. Only active webhooks are loaded on all pages across the store. Improvements to the custom ordering of categories and attributes process has reduced the load-time on affected pages. Caching of product attributes helps frontend pages to load faster. A new method of handling versioned transients has been introduced to speed up the process of bulk-editing or creating multiple products. Running various queries or searches are faster. A double win benefitting the store admin and customer, which also prevents unnecessary code from running during API requests (e.g., cart is not initialized). An index has been added to the downloads permissions database table to speed up workflows that use downloadable products. A new feature that enables variations to be searched by attribute name or value. You can also read an in-depth post about the Performance Improvements in 3.6 that covers the technical details around these performance improvements on the WooCommerce Development blog. Get ready for the latest version of WooCommerce by reviewing How to Update Your Store, and ensure you have taken steps to make a backup to keep on file. Later this week we will share news about a brand new feature plugin – WooCommerce Admin – which brings powerful statistics, analytics, and custom reports. Make order number sequential instead using common wp table,as with each order number & new post order numbers skips which is not ideal for in invoicing or add invoice numbering it will help keeping orders sequentials , i tried several plugins but thats not permanent solition. Have you tried to use their official sequential plugin ? I am not sure what you mean when you say you bought ‘RnB woocommerce and rental plugin’. “Making use of custom tables and indices to store orders and customer data”. – Will the upgrade from WooCommerce v3.5.x to v3.6.x break anything – specially regarding the transition of the use of the custom table, how will “old orders” which are in posts table be treated? Hey Khayrattee, the changes are fully backward compatible and all old data will still be there. I think the item you highlighted might be worded wrong as we are not storing the data in custom tables exclusively but instead we are using new custom tables to aid in looking up the data quicker. So, in short, all the data is still stored the same way, we are just populating new lookup tables with certain fields on certain actions which speeds up searching and looking up data considerably faster. it’s great if it can show some improvement in google page speed test tool.. I can confirm these performance improvements having tested this with 3.6 RC 1. The most problematic page has been the checkout (from the moment someone hits “Pay now” until the Order confirmation page was shown). From originally 15-20 secs time is now down to 7 to 9 secs (Which also depends on the amount of emails sent). I can also recommend the use of wp-rocket and perfmatters plugins to further improve load times.